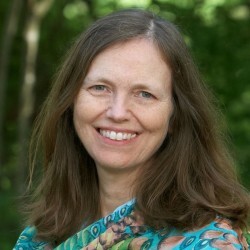 Phyllis Hicks has studied with a number of Vipassana teachers and has trained and taught with Gregory Kramer, the developer of Insight Dialogue, since 2004. She teaches Insight Dialogue internationally. She has worked as a psychotherapist for twenty-eight years, bringing together Eastern and Western understandings of psychology and contemplative practice in a clinical setting. She is a co-developer of the Interpersonal Mindfulness Program, teaches MBSR at an Integrative Medical Center, and is a guiding teacher for Triangle Insight. She lives in Chapel Hill, North Carolina.